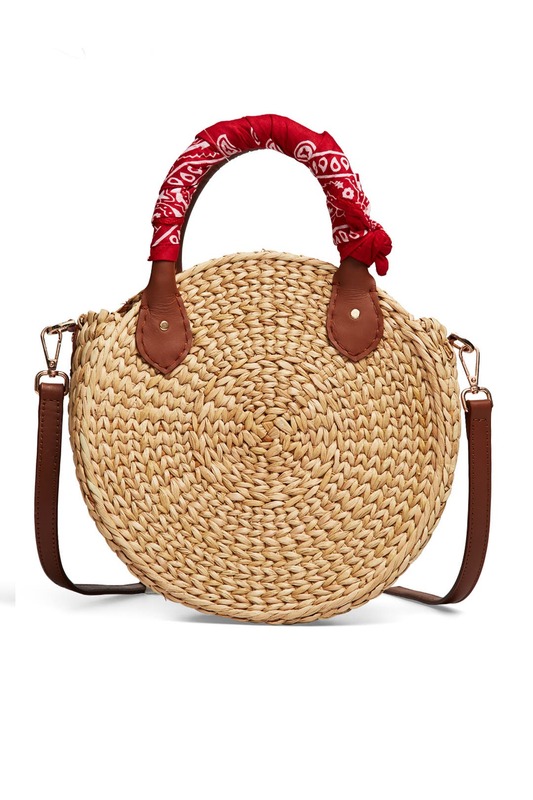 This circular straw bag by Poolside combines straw, smooth leather, and a perfectly-worn red bandana to create this nostalgic summer accessory. 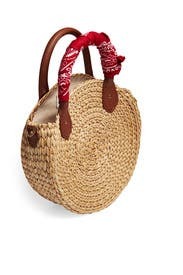 Woven straw circle tote with leather handles and handkerchief detailing. Open top and 3.25" handle drop. 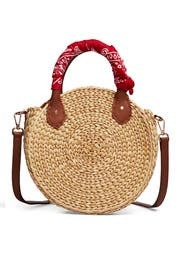 19.75" crossbody strap drop. 9.5"H x 9.5"L x 4"D.